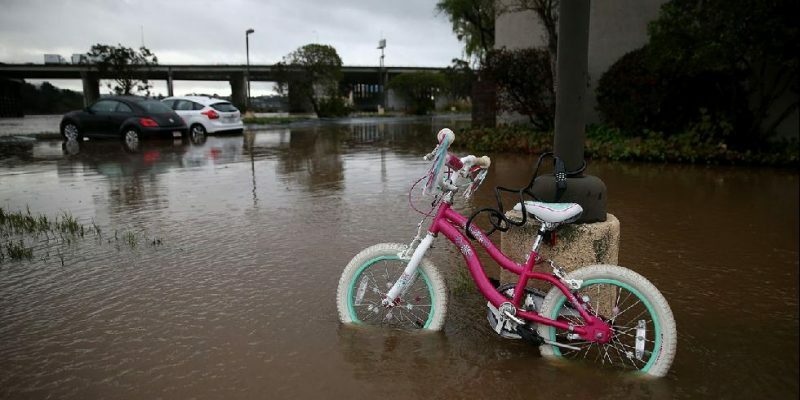 Most people in California would think it was a gift from the heavens when the rain came pouring last week. Even with the six long straight hours of rain, the entire state was still parched and needed more. Now, that the rain just keeps on coming, the storm made the people realize that they no longer need it. The heavy rains and strong gust of winds brought too much of difficulty for everyone. Why do people call it the Pineapple Express? This is often referred to the atmospheric river. Everyone is on an alert level. Looking at the weather map, we recognize the moisture coming from Hawaii. According to CNN, late November (last month), it started to hose over the West Coast area. If you look closely at it, it forms as if there was a cloud river right in the sky flowing straightly to the Coast. Think about a combination of the storm trying to chase ashore. Again, people are expecting for another splash of rains scattered in most of the places in the state. Rain may be common in some parts of California, but this time, even the highest elevations, expect to get ten inches of rains. We keep on hearing and seeing this on the news. So, what is it exactly? These are the regions that are responsible for the transport of water vapor outside the tropics. Moreover, it provides enough snow and rain which is then an essential to the water supply. One of the reasons people refer to the Atmospheric River as the Pineapple Express since it is the moisture or the water vapor dragged from Hawaii. AR’s are present in some parts of the Earth as it moves with the weather at any given time? Pineapple Express is a good example of the type of a strong AR that could possibly hit the West Coast. Strong AR’s could cause flooding, landfall, and other possible calamities in the affected area or region. Not that California was wishing to have something good in the middle of the drought, the people are not expecting to celebrate a wet Holiday season. And neither they are doing the rain dance for the longest time. Since people are expecting to have more floods and heavy rains, they become aware what the impact could bring. With the blizzard on its way, people have to stay in their homes and be on the look out. Anything could happen on the streets when the weather isn’t good. You could be stranded in your vehicle, you wouldn’t want to experience that. As Northern California prepares to meet the monster storm, homeowners expect the gusty winds could clog their gutters with leaves, uproot trees, and flooding along the creeks. They could still recall the storm that hit California last January 2008. It was still fresh in their memories. And yes, it will be similar to that. For all one knows, everyone may have survived the drought, it could be an abrupt weather shift, but the bottom line is, so long as the people are prepared and are aware of what to and not to do, surely a rainbow after this monster storm will be visible. A lover of how social media becomes part of her life. She considers it as her home. A place where everyone meets - regardless of gender, age, and color. She wants to share her passion to her readers - yes, that's you! Christine is also a traveler. She finds it her life. If the internet realm is such an interesting place to explore, so is the world out there.